Material: Polyethylen (HDPE) – Halogenfree. 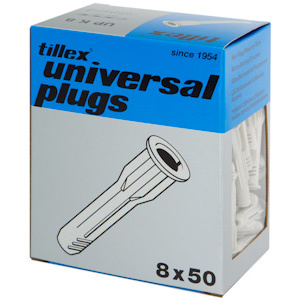 Universal plug suitable for nearly all buildings materials. 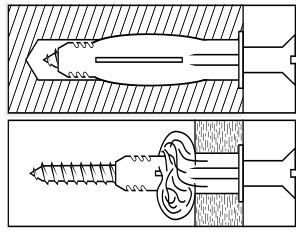 Special design prevents rotation in the drill hole. The collar prevents plug disappearing in the drill hole.